(Bitumen and Base Oil Conference will be held on July 31 - Aug 1, 2019). Team & Group fees are available for 2 or more delegates, please contact us for more details. People from SAARC nations are eligible for the India fees more details. Shailendra Gokhale is a highly experienced lubricants professional with a broad global experience and with major strengths in Strategy Development, Value Engineering and international trade management. He is globally renowned and recognized expert in the global value chain of lubricants and currently he advises some of the best Lubricants and grease companies globally. He is a much sought-after speaker, having participated in various international conferences of base oils and lubricants. He has a significant experience in dealing with base oils, additives and lubricant companies both in India and in the world. Shailendra has in excess of 25 years experience in the Lubricants and Additives industry. After working with Lubrizol India for 5 years, he moved to BP/Castrol India. Later he moved to UK, as a member of global leadership team in their Lubricants division. After working for 17 years at senior leadership positions, Shailendra left BP/Castrol in 2014 to start his own consultancy to work in the lubricants sector. Shailendra has to his credit consultancy assignments with Energy Major like Petronas, ENOC, Infineum, BP/Castrol, Brenntag, HPCL, Morris, Gulf, Axel Christiernsson and few MNCs. He is an external advisor to Boston Consulting Group (BCG). In the field of education for Lubricants, Shailendra is closely associated with Indian Institute of Petroleum and Energy, Vishakhapatnam. 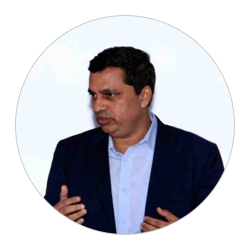 Shailendra has a degree in mechanical engineering and a diploma in international trade management. Shailendra is also a member of Energy Institute, London.